The countdown to Christmas is on. Christmas still makes me excited despite the fact that i am not as young as i used to be. 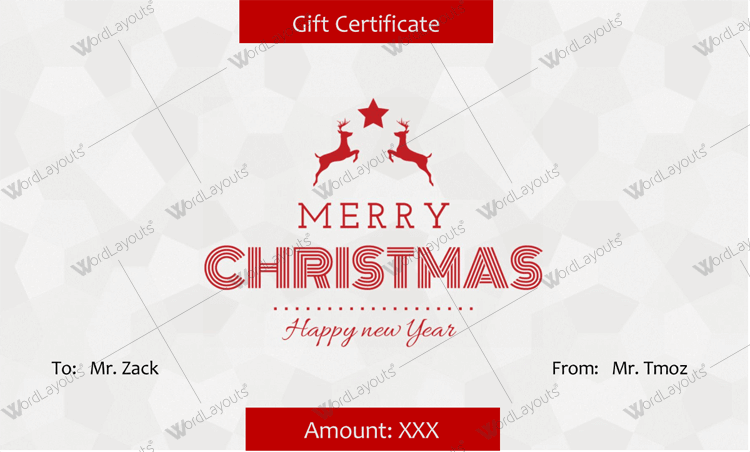 To make this Christmas more special we have created 16 different themes of gift certificate templates. 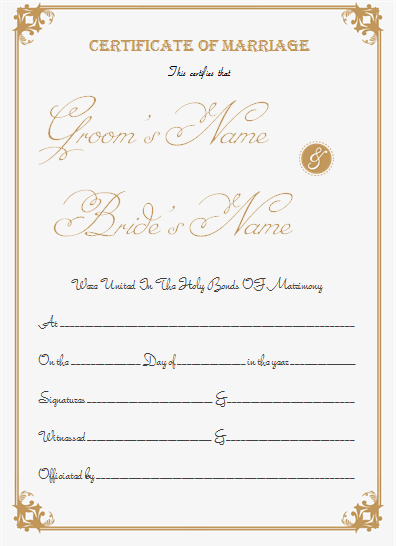 These templates are made using Microsoft Word making them easy to print and edit. However, there is still a grand question posed at this point. What gift will i get? This is about that time of year when you start thinking of ideas on what presents to give. We all know how hard it is to find a good gift because unless you ask you won’t know what a person needs especially if you haven’t been around them and besides no one would want to ask because that will just ruin the whole surprise! With gift certificates though, you cannot go wrong. This is because everyone gets the chance to choose what it is they want most. 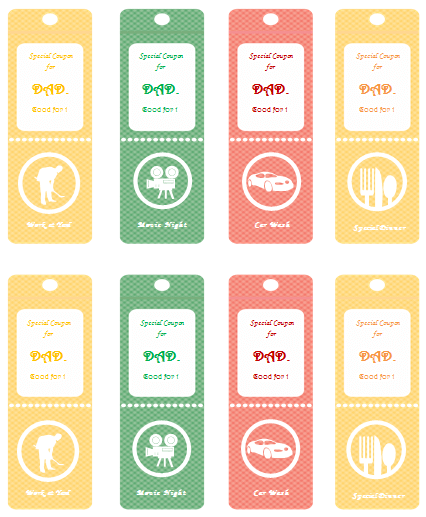 That is why it is very essential that you have the right templates for the cards. The template can be likened to the ice-cream to your cone, very important. The pros of using gift cards include, you avoid buying unwanted gifts. This gift is less likely to be wasted because on average, for every dollar on a gift certificate there is 25 dollars worth of returned Christmas gifts every year. Christmas gift certificates also help you stay on a budget and not end up overspending on gifts that probably would go back to the store and this helps you save money. 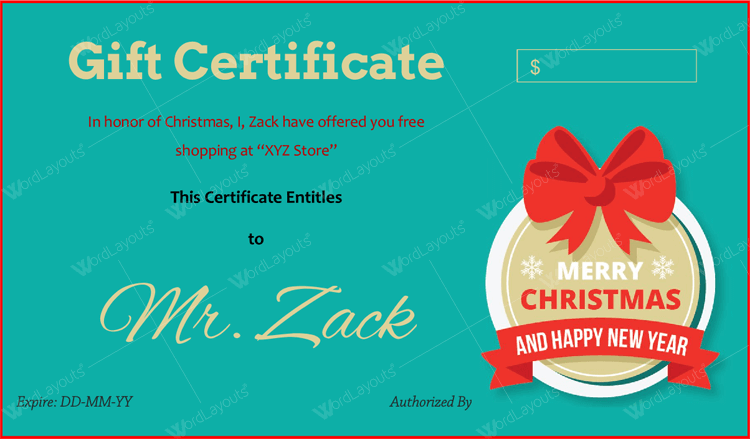 With the use of Christmas Gift Certificates, you can create traffic for small local businesses which do not have that many customers such as bookstores. Lastly, everyone loves and prefers gift cards because they can buy what it is they really want. Some of the cons of using Gift Certificates are that some have an expiry date while others carry fees. In my opinion, the pros heavily outweigh the cons. 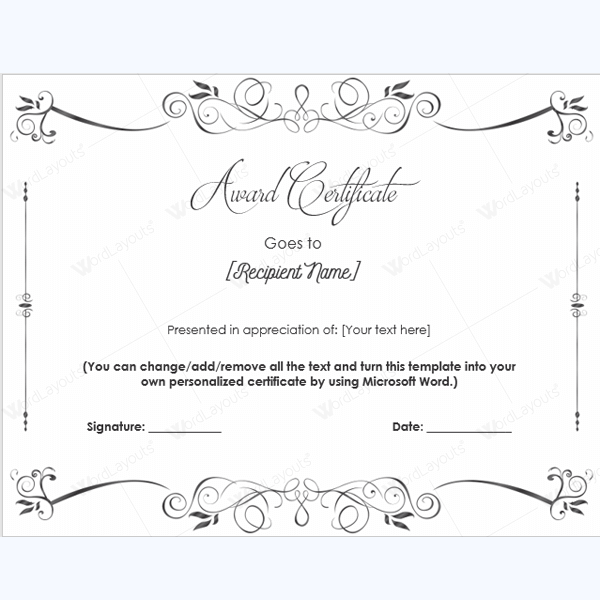 Related: 6+ Christmas Themed Award Certificate Templates – Help in awarding kids for their accomplishments. This is Christmas, time of joy and cheer, you just can’t have any plain-looking, boring, and dull gift certificate. What you want to have is a Christmas gift certificate, one made to your taste and that you can alter to meet your specific requirements. A gift certificate that will show you are fully in the Christmas spirit. This is where the template for the gift card or certificate comes in. A brightly colored, eye-catching, impressive, spectacular template would be a very good start for this certificate. It is not very easy to get a template that suits everyone. Here we have exactly what you need and more. You will get 16 different printable and editable templates each going for $5. The templates are made from Microsoft Word and therefore they can be edited and customized as required. 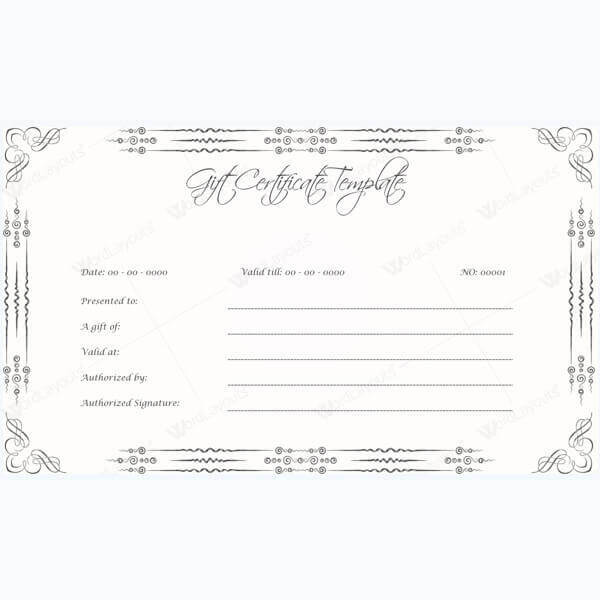 The gift certificates are 8.5 inches wide and 4.5 inches long or there is an option for templates that are 6 inches wide and 3.5 inches long. These templates ooze of the Christmas spirit so much it is as if Santa made them himself. There options are very diverse therefore there is definitely something for everyone. At this point i am quite certain that i have won you over to the side of Gift Certificates obtained from our templates. Services that can be accessed using gift certificates are endless. If they love books, you can get one for the bookstore and get it verified at the respective bookstore. If they love clothes, the same applies, get one for their favorite store. They also work for spa’s! You can give your family member or friend that treat in the spa that they have always dreamed about. The possibilities are endless. This is the beauty of these certificates, there are so many options and therefore the gifted won’t feel like they are stuck with a gift which they may not need. They are designed specifically for the Christmas holidays and therefore ideal for this time of year. 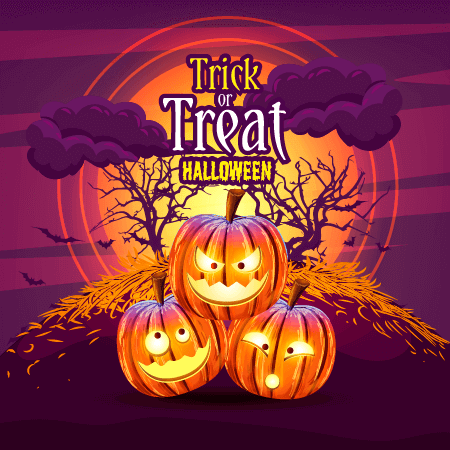 The templates are also creatively and concisely structured in a manner to which you will feel the need to purchase all 16 of the templates previewed because you will be spoiled for choice. 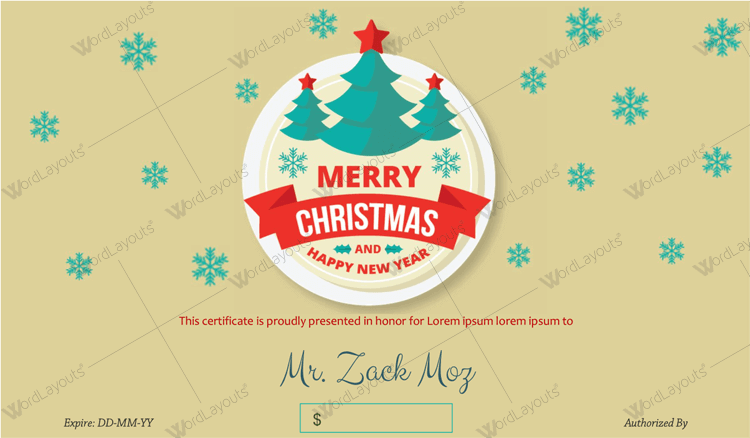 These Christmas Gift Certificate templates exhibit the epitome of what you would imagine to be your ideal gift certificate for Christmas. So do not waste any time! buy some of our very stunning templates and it is a guarantee that you will not regret it. 20 Awesome Christmas Gift Certificate Templates to End 2018!